About an hour’s drive from Killington Mountain Lodge on Route 4, you can reach Vermont’s own ‘Little Grand Canyon,’ Quechee Gorge. It’s the state’s deepest gorge, formed by glacial activity more than 13,000 years before your visit! 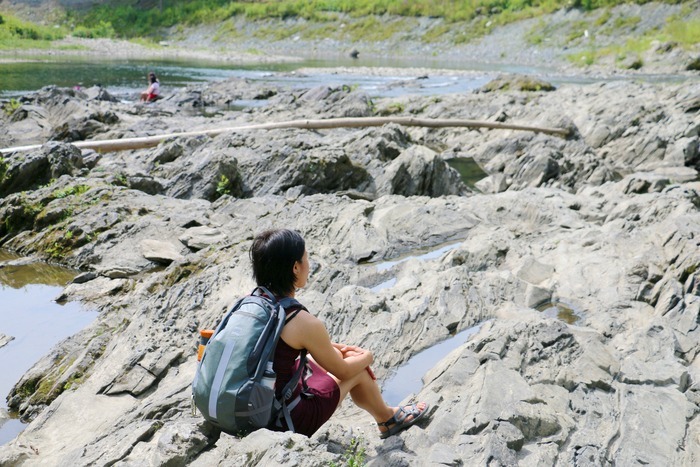 The hike is 20 minutes to the bottom of the gorge, with several other trails if you want to extend your time here. It’s a truly beautiful look at our planet, and the way water and ice can work wonders in hard stone. This is, in fact, one of New England’s most treasured natural wonders, with rock formations you can walk on at the bottom. Don’t worry about your age or activity level. We spotted everyone from grandparents to grandkids enjoying the trek, each at his own pace. Many children were hiking up to the bridge, wet from swimming in the Ottauquechee River 165 feet below. 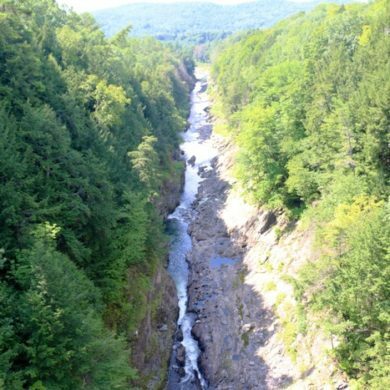 This spot welcomes more than 200,000 visitors each year to the Quechee Gorge State Park, visitor center and snack bar. Quechee was originally a wool mill village, employing as many as 500 people here – back in the day. Water from the surrounding falls powered the facility. The river that flows through the gorge is a popular run for whitewater kayaking, if you’re feeling adventurous. 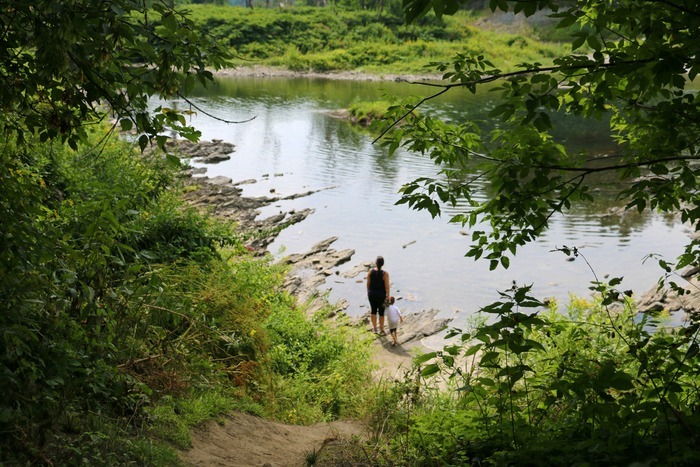 Quechee, VT is home to wonderful shops, restaurants and attractions. So stick around a while, then come back and enjoy your stay at our lodge. Quechee State Park is located at 5800 Woodstock Road in Hartford, VT. To learn more, please visit the state park website.